Instead, shares held by the firm's private investors will be sold. Analysts said the nature of the listing could lead to trading volatility, although in informal trading on Tuesday, the share price held up. In an open letter on Monday, chief executive Daniel Ek said: "Sometimes we succeed, sometimes we stumble. The constant is that we believe we are still early in our journey and we have room to learn and grow." 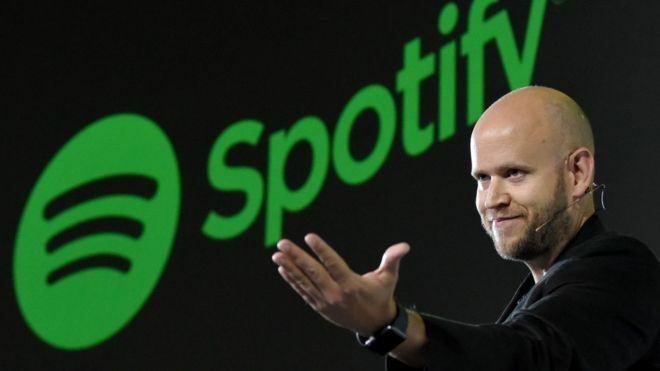 Spotify, once an small upstart Swedish music platform, has grown rapidly in recent years, adding millions of users to its free-to-use ad-funded service and converting many of them to its more lucrative subscription service.